• When prices rise, bondholders worry that the interest they’re paid won’t buy as much. • To control inflation, the Fed may raise interest rates to get investors to purchase bonds. • When interest rates go up, borrowing costs rise. Economic growth and spending tend to slow. • With less demand for goods and services, inflation levels off or falls. Bond investors worry less about the buying power of future interest payments. They may accept lower interest rates on bonds, and prices of older bonds with higher interest rates tend to rise. • Interest rates in general fall, fueling economic growth and potentially new inflation. In addition to being affected by monetary policy and economic events, a bond is subject to the risk of potential default by the issuer. 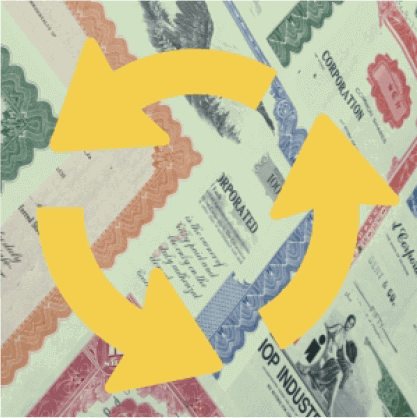 There are two fundamental ways that you can profit from owning bonds: from the interest that bonds pay, or from any increase in the bond’s price. Many people who invest in bonds because they want a steady stream of income are surprised to learn that bond prices can fluctuate, just as they do with any security traded in the secondary market. If you sell a bond before its maturity date, you may get more than its face value; you could also receive less if you must sell when bond prices are down. The closer the bond is to its maturity date, the closer to its face value the price is likely to be. Though the ups and downs of the bond market are not usually as dramatic as the movements of the stock market, they can still have a significant impact on your overall return. If you’re considering investing in bonds, either directly or through a mutual fund or exchange-traded fund, it’s important to understand how bonds behave and what can affect your investment in them. Just as a bond’s price can fluctuate, so can its yield–its overall percentage rate of return on your investment at any given time. A typical bond’s coupon rate–the annual interest rate it pays–is fixed. However, the yield isn’t, because the yield percentage depends not only on a bond’s coupon rate but also on changes in its price. Both bond prices and yields go up and down, but there’s an important rule to remember about the relationship between the two: They move in opposite directions, much like a seesaw. When a bond’s price goes up, its yield goes down, even though the coupon rate hasn’t changed. The opposite is true as well: When a bond’s price drops, its yield goes up. That’s true not only for individual bonds but also for the bond market as a whole. When bond prices rise, yields in general fall, and vice versa. In some cases, a bond’s price is affected by something that is unique to its issuer–for example, a change in the bond’s rating. However, other factors have an impact on all bonds. The twin factors that affect a bond’s price are inflation and changing interest rates. A rise in either interest rates or the inflation rate will tend to cause bond prices to drop. Inflation and interest rates behave similarly to bond yields, moving in the opposite direction from bond prices. The answer has to do with the relative value of the interest that a specific bond pays. Rising prices over time reduce the purchasing power of each interest payment a bond makes. Let’s say a five-year bond pays $400 every six months. Inflation means that $400 will buy less five years from now. When investors worry that a bond’s yield won’t keep up with the rising costs of inflation, the price of the bond drops because there is less investor demand for it. Inflation also affects interest rates. 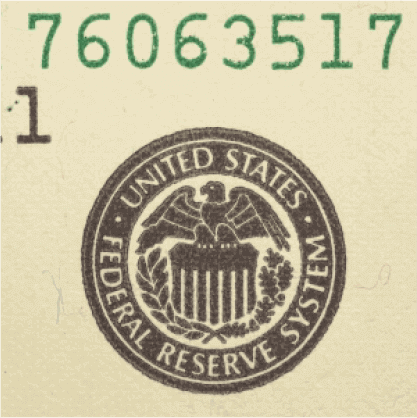 If you’ve heard a news commentator talk about the Federal Reserve Board raising or lowering interest rates, you may not have paid much attention unless you were about to buy a house or take out a loan. However, the Fed’s decisions on interest rates can also have an impact on the market value of your bonds. The Fed takes an active role in trying to prevent inflation from spiraling out of control. When the Fed gets concerned that the rate of inflation is rising, it may decide to raise interest rates. Why? To try to slow the economy by making it more expensive to borrow money. For example, when interest rates on mortgages go up, fewer people can afford to buy homes. That tends to dampen the housing market, which in turn can affect the economy. When the Fed raises its target interest rate, other interest rates and bond yields typically rise as well. That’s because bond issuers must pay a competitive interest rate to get people to buy their bonds. New bonds paying higher interest rates mean existing bonds with lower rates are less valuable. Prices of existing bonds fall. That’s why bond prices can drop even though the economy may be growing. An overheated economy can lead to inflation, and investors begin to worry that the Fed may have to raise interest rates, which would hurt bond prices even though yields are higher. Example: Jane buys a newly issued 10-year corporate bond that has a 4% coupon rate–that is, its annual payments equal 4% of the bond’s principal. Three years later, she wants to sell the bond. However, interest rates have risen; corporate bonds being issued now are paying interest rates of 6%. As a result, investors won’t pay Jane as much for her bond, because they could buy a newer bond that would pay them more interest. If interest rates later begin to fall, the value of Jane’s bond would rise again, especially if interest rates fall below 4%. When interest rates begin to drop, it’s often because the Fed believes the economy has begun to slow. That may or may not be good for bonds. The good news: Bond prices may go up. However, a slowing economy also increases the chance that some borrowers may default on their bonds. Also, when interest rates fall, some bond issuers may redeem existing debt and issue new bonds at a lower interest rate, just as you might refinance a mortgage. If you plan to reinvest any of your bond income, it may be a challenge to generate the same amount of income without adjusting your investment strategy. Inflation and interest rate changes don’t affect all bonds equally. Under normal conditions, short-term interest rates may feel the effects of any Fed action almost immediately, but longer-term bonds likely will see the greatest price changes. Also, a bond mutual fund may be affected somewhat differently than an individual bond. For example, a bond fund’s manager may be able to alter the fund’s holdings to try to minimize the impact of rate changes. Your financial professional may do something similar if you hold individual bonds. Note: Bond funds are subject to the same inflation, interest rate, and credit risks as their underlying bonds, and if interest rates rise and bond prices fall, that can adversely affect a bond fund’s performance. Before purchasing a mutual fund, you should carefully consider its investment objective, risks, fees, and expenses, which can be found in the prospectus available from the fund. Read it carefully before investing. Though it’s useful to understand generally how bond prices are influenced by interest rates and inflation, it probably doesn’t make sense to obsess over what the Fed’s next decision will be. Interest rate cycles tend to occur over months and even years. Also, the relationship between interest rates, inflation, and bond prices is complex, and can be affected by factors other than the ones outlined here. Remember, investments seeking to achieve higher yields also involve a higher degree of risk. Your bond investments need to be tailored to your individual financial goals and take into account your other investments. A financial professional may be able to help you design your portfolio to accommodate changing economic circumstances.